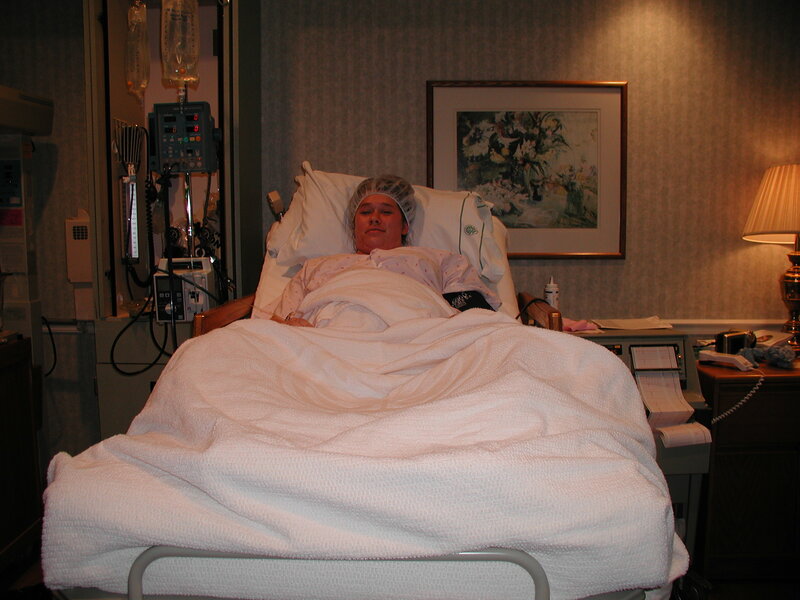 10 years ago at this very moment I had my first real contraction. I had just gotten up to go to the bathroom and stood up and had a really strong contraction. I didn’t wake Michael up yet and decided to walk around the house for a while to see if they were real. I started timing them and they were about 5 minutes apart and I couldn’t walk through them or talk through them. That’s how they were from the very beginning – they started off really painful. I called the doctor and told them that I thought I was in labor. They told me to time the contractions for an hour and if they stayed consistent to come on in. As soon as I hung up the phone I knew I was not going to wait another hour at home. I tried to lay back in bed while Michael got everything ready but that wasn’t happening. Walking around was the only thing that helped ease the pain. We left the house and I remember the drive to the hospital being awful – we had to stop for gas and it just wasn’t comfortable sitting in that position while having contractions. We got to the hospital around 5am and they checked me and I was 4cm. My plan was to go all natural and everything seemed to be going according to plan. I got in the tub and the hot water really helped. Around 7am the midwife checked me and I was 7cm. I was shocked I was moving so fast for a first-time mom! 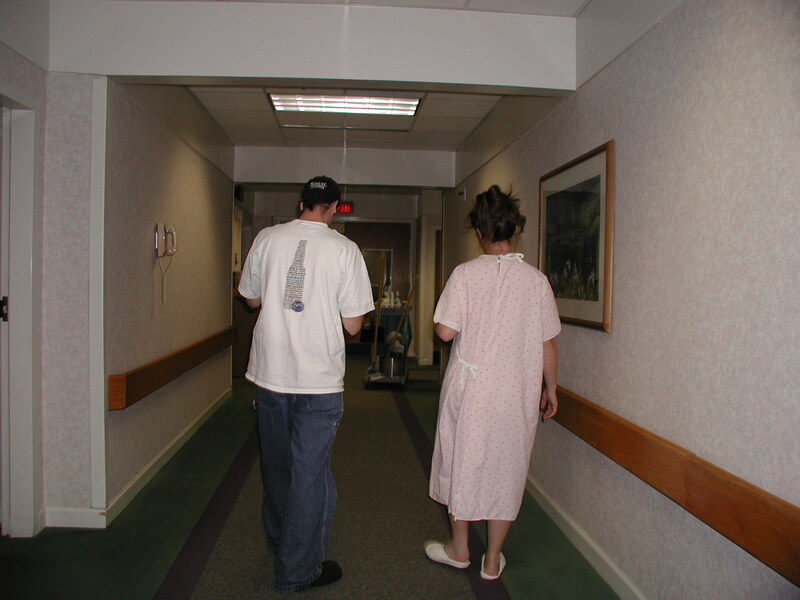 We walked a few laps around the maternity center. Around 9:00am she checked me again and I was 10cm! Fully dilated in 6 hours and without any medicine! So then the midwife decided to break my water since it hadn’t broken on it’s own. When she did, there was a huge amount of meconium (the baby’s first poop) that came out too, which made her think that Mackenzie was breech. They brought in an ultrasound machine and it turns out that she was in fact breech. I was so furious that I had made it all that way on my own without any problem and now I was going to have to have major surgery. I was mad at the midwife for not being able to tell that she was upside-down all the earlier times that she checked me that morning. Thinking back on it I remember feeling “different” 2 days before I went into labor and I think that’s when she flipped. I should have known that was the start of Mackenzie’s personality coming out – stubborn and hard-headed! I started to get worried because I never thought that I would have to have a c-section. The nurse starts calling for all kinds of help to get ready for an emergency c-section since I was supposed to start pushing. I remember after the midwife broke my water that the contractions got much worse… then they made me lay down in the bed on my back, which was the most painful position for me to be in. All our family came in the room while we were waiting on the doctor to get there and I just remember everyone talking and me being in so much pain! I was taken to the operating room and they gave me a spinal. That was a weird feeling, everything below my chest just went numb instantly. I was laid down and just waited for them to start and for Michael to be able to come in. I remember having the feeling of not being able to breathe, which they said was normal, but not fun at all. It was finally time to meet my baby girl! They pulled her out and the first thing the doctor and midwife noticed were how long her eyelashes were! She had a high-pitched cry and just kept screaming! She was born at 9:52am, weighed 7 lb 15 oz and was 21″ long. 10 years later she has grown into a beautiful young lady with an awesome personality! Happy Birthday Mackenzie! We love you!